Initiated in the year 2003 with a definitive vision, our parent brand GaneshaSpeaks.com is a pioneer in more than one ways. Back then, E-commerce space was yet in its infancy, and the examples to follow were far and few. The aim and vision of the company, however, was set from the day one – to streamline a scattered, direction-less astrology market. Today, the parent company i.e. 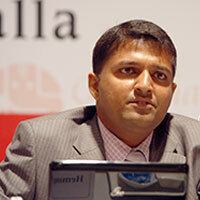 Pandit Ventures Private Ltd. has come a long way since its nascent days, and has expanded its vistas in myriad ways. Besides GaneshaSpeaks.com, which is undoubtedly the Numero Uno astrology website in India, the company now boasts of an impressive portfolio of running and upcoming products, services and brands. The young, charismatic innovator and techno-entrepreneur, who never shies away from experimenting with novel concepts and uncharted territories, Mr. Hemang Arunbhai Pandit has been the key driving force and the brain behind the foundation and creation of the entire GaneshaSpeaks.com business, and its running/ upcoming subsidiaries. 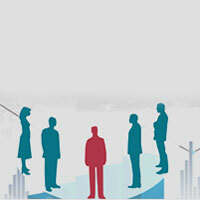 The architect of the website www.GaneshaSpeaks.com, Mr. Pandit has powered the business with his eye-on-the-target approach and inventive spirit. He holds great respect and preference for high quality service standards, and his vision and firm belief in tenets of hard yet smart work have, time and again, yielded spectacular results. 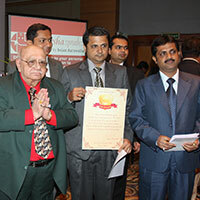 His unique entrepreneurial spirit and dynamism have been instrumental in writing the success story of this organisation. The organisation’s basic philosophy rests firmly on the belief that no true success can be achieved unless. The organisation’s basic philosophy rests firmly on the belief that no true success can be achieved unless there is complete and concerted involvement of the entire staff in all its endeavours. 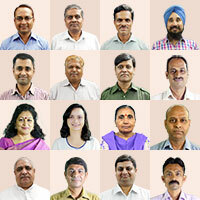 No wonder, the whole team of staff members and astrologers functions as one big, extended family at GaneshaSpeaks. 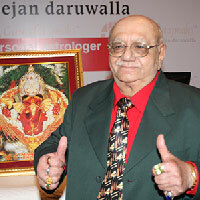 The team of astrologers at GS has been personally trained and nurtured by the revered astrologer Shri Bejan Daruwalla, and it has also been proclaimed as the official successors of Shri Daruwalla’s astrological legacy. The world-renowned, revered astrologer and prophesier Shri Bejan Daruwalla is not someone who needs a lyrical and eloquent introduction. His name and his illustrious line of work speak well enough for him. He has been associated with GaneshaSpeaks.com, as its brand ambassador, promoter and fountain-head of wisdom, right from the organisation’s inception. And, it is he who, in the year 2003, had formally inaugurated the website and its services. In the last few years, owing to his failing health, he has cut down on his active role. However, he officially named GaneshaSpeaks.com and its team of astrologers as his successors a few years back, and now guides and nurtures GaneshaSpeaks’ team. News about GaneshaSpeaks.com, success stories and articles related to the organisation, predictions on various spheres and blogs written by the company’s dedicated team keep appearing in major websites, newspapers and journals on a regular basis. 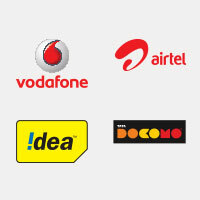 Internet and the world wide web have been instrumental in changing the face of the world. At GaneshaSpeaks.com, we have an immense faith in the power and viability of this medium, and we believe that a universally sought subject like Astrology ought to be showcased via this hugely accessible medium. The website GaneshaSpeaks.com had been created with the primary aim to streamline a largely unstructured, cluttered astrology market. And thus, E-Space was the obvious choice, for on which other platform people from all over the world could connect with astrologers and astrology services without any hassle, in such a credible manner. Today, GaneshaSpeaks is world’s third largest astrology-based website, and is, undoubtedly, the numero uno in India. Given its reliable, top-of-the-line content and services and a strong team of Bejan Daruwalla trained astrologers, there’s no wonder that today GaneshaSpeaks.com, the portal receives over 20 lakh or 2 million visitors every month. Over the years, the stock markets have come to assume a vital place in the world’s economy. The fortunes are made and broken, on a regular basis in this volatile and shifty world. 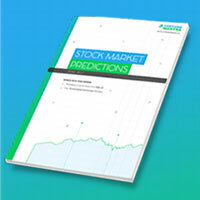 With due respect to the stock market experts’ views, it has to be accepted that it would be hugely useful if the market’s trends could be accurately foreseen. Astrology, by reading into the planetary trends (of a particular country, time-period, company and scrip), can calculate and predict the probable movements of the market. GaneshaSpeaks.com read into this trend, and thus was born Fortune Mantra. 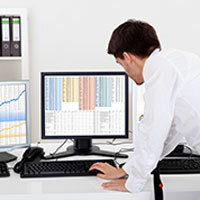 A specialised and personalised astrology-based stock markets’ consultation service, Fortune Mantra aims at helping individuals and firms increase profits and reduce losses in speculative dealings, especially those related with stock markets. It is here where GaneshaSpeaks’ strong astrology base merges with a deep understanding of the financial markets to create a breathtaking combination that’s Fortune Mantra. Astroflix.com, world’s first 4K Zodiac channel is a dedicated Astrology videos channel. Watch your Daily forecasts to Weekly, Monthly and Yearly for the future. Our branded Video portal, also offers Live Videos based on Astrology where users can get Live answers from astrologers.These videos, in high quality will be able to offer the viewer comfort and a feeling of personalized Astrology experience. We intend to benchmark this space with various versions of video content which will also help demystify Astrology to the masses. Our branded Video portal, offering Videos based on Astrology and allied subjects for entertainment, learning and planning your life. With our own modern hi-tech studio, we can generate any Astrology content for syndication. Books are the greatest and most apt repositories of the knowledge and wisdom. Being a knowledge based organisation, we, at GaneshaSpeaks.com, maintain dissipating relevant and authentic knowledge as one of our primary aims. Besides, as a premier astrology-based service, we take it on us to leave behind the legacy of the age-old wisdom of astrology and its application for the generations to come. And, what better way it could be than via Books. Our foray into books’ creation and publishing domain is a relatively new one, yet we have already taken giant strides towards success. All our books come with a promise of supreme quality and credible content, and they are lucid, well-compiled and superbly written. Last, but not the least, all our books bear the hallmarks of accuracy, reliability and trust associated with GaneshaSpeaks.com.